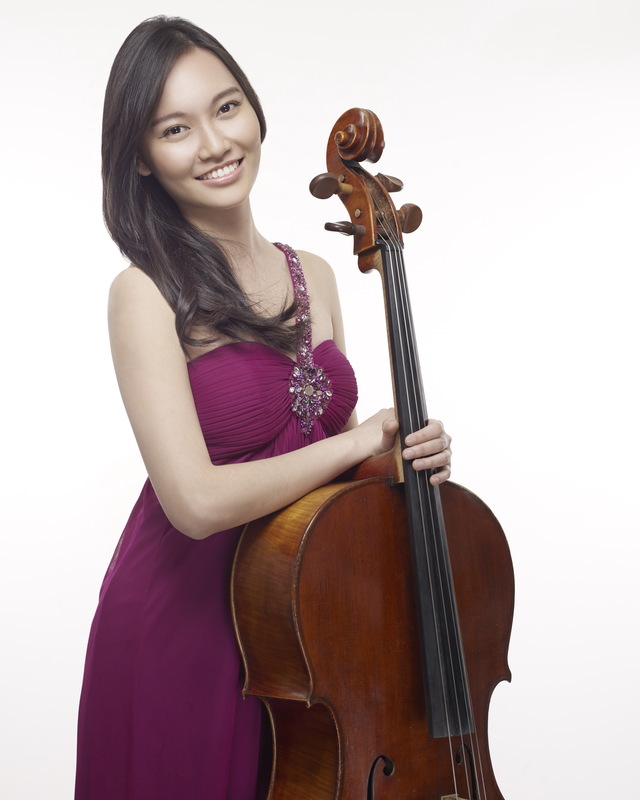 Jung-Hsuan Ko, a native of Taiwan, is the newly appointed assistant principal cello of the Indianapolis Symphony Orchestra. In 2018, she toured with the Budapest Festival Orchestra as an apprenticeship in European cities including Vienna, Dresden, Prague, Bruges, Frankfurt, Baden-Baden and Budapest under the baton of Maestro Ivan Fisher. She has also served as co-principal cellist with the New England Conservatory Philharmonia Orchestra, the Juilliard Orchestra, the Manhattan School of Music Symphony Orchestra, and at other numerous festival orchestras. Jung-Hsuan’s recognitions include top honors in the International Johannes Brahms Competition in Austria, the Crescendo Music Awards in Oklahoma, and the Queens Symphony Orchestra’s Young Artist Competition. She was also the first prize winner of the Eastern Connecticut Symphony Orchestra Instrumental Competition, in which The Day Publishing Company praised “her command of timbre and her rich, resonant sound proved her to be a natural soloist” for Shostakovich's E-flat Major Concerto. Ms. Ko’s performances have taken her to renowned venues such as Carnegie Hall, Boston Symphony Hall, John F. Kennedy Center for the Performing Arts, Vienna Konzerthaus, Suntory Hall in Japan, and the National Concert Hall in Taiwan. She has worked with prestigious conductors including Simon Rattle, Valery Gergiev, Christoph Eschenbach, Charles Dutoit, Gianandrea Noseda and Esa-Pekka Salonen. In the summer, she was invited to various international music festivals such as the Verbier Festival in Switzerland, Kronberg Cello Masterclasses, Schleswig-Holstein Musik Festival in Germany, Fontainebleau Music Festival in France, Pacific Music Festival in Japan, New York String Orchestra Seminar, Sarasota Music Festival, Music Academy of the West and the Aspen Music Festival and School. As an enthusiast for chamber music, Ms. Ko has performed in the Juilliard School’s Chamber Music Festival and “Wednesdays at One” series at Alice Tully Hall at the Lincoln Center. She frequently participates in ensemble projects collaborating with musicians from the New Asia Chamber Music Society. Ms. Ko received her Bachelor of Music degree from the Manhattan School of Music, her Master of Music degree from The Juilliard School, and her Graduate Diploma degree from the New England Conservatory. Her former teachers include Marion Feldman, Alan Stepansky, Timothy Eddy, and Laurence Lesser.